One of the great things about working at a university is that when something has you stumped, there is probably a world authority on stumps just down the corridor. So it was that, faced with an LP which had a label and sleeve in Russian I emailed a friend and colleague, Cai Wilkinson, who is a senior lecturer in international relations and knows Russian well. I have a slightly left-field query. I recently picked up an old Melodiya LP dating from (I would guess) the late 1960s. It is, having played it, what you might call Soviet Easy Listening – male singer (crooner, strong voice, quite good) with a small orchestra and a string section. I was wondering – if I send you a pic of the sleeve would you be able to help me work out who it is? In the spirit of the Freemasonry of scholarship, Cai kindly obliged, and shared the following fascinating story. It’s a guy called Valery Obodzinsky who was a variety singer in the 1960s and 70s. His first record came out at the end of the 1960s with a pressing run of 13 million copies [! ], but still became a collector’s item. The state earned around 30 million convertible Soviet rubles from it, while the royalties Obodzinsky received was all of 150 rubles. His popularity didn’t last beyond the 1970s due to rumours that he wasn’t happy with his income and wanted to leave the country, leading to him being dropped from concert programs and tours (he was already not in favour due to apparently not performing in a suitably Soviet manner). Eventually he retired completely in 1987, divorced his wife and then lived with one of his female fans, working as a watchman in a tie factory and suffering from alcoholism. Thanks to the efforts of his partner (the aforementioned fan), in 1994 he returned to the stage and was received very positively. Following this successful return, he began touring again, performing concerts in various Russian cities. A bit of hunting around suggests that the record you’ve got was released in 1971 if the cover art is anything to go by. It is a rare musician who doesn’t have some drama in their life story. If he or she is Russian, double that. This track is called “Listopad”, which (I am relying on Cai again here) directly translates as “leaf fall”, but might be better rendered as “the falling leaves”. 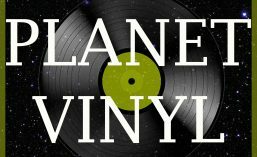 Many of the records discussed on Planet Vinyl, and hundreds of others, are for sale on Discogs.